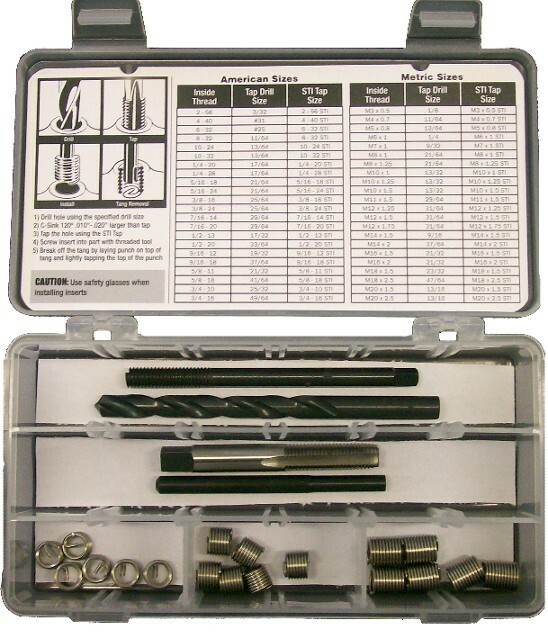 The only kit you'll need for internal thread repair! Helical Inserts are often known by the brand names Helicoil or Recoil Screw Thread Inserts. Our Precision Thread Helical Inserts are interchangeable with other brands of inserts and tooling. If you are currently using Helicoil, Recoil, or Mil Spec part numbers for your inserts, please see our Cross Reference Numbers below for an easy and accurate transition to our Precision Thread Helical Inserts from Chrislynn.